The human genome project and its search for factors underlying human diseases has fostered a major human research effort. Therefore, unsurprisingly, in recent years we have observed an increasing number of studies on human islet cells, including disease approaches focusing on type 1 and type 2 diabetes. Yet, the field of islet and diabetes research relies on the legacy of rodent-based investigations, which have proven difficult to translate to humans, particularly in type 1 diabetes. Whole islet physiology and pathology may differ between rodents and humans, and thus a comprehensive cross-species as well as species-specific view on islet research is much needed. In this review we summarise the current knowledge of interspecies islet cytoarchitecture, and discuss its potential impact on islet function and future perspectives in islet pathophysiology research. Rafael Arrojo e Drigo and Yusuf Ali contributed equally to this work. In his 1869 doctoral thesis, now a medical classic, the 22-year-old German physician Paul Langerhans reported the microscopic appearance of scattered small groups of cells among the acinar glandular cells in the pancreas of the rabbit . In 1893 Edouard Laguesse named these cell clusters the ‘islets of Langerhans’, and first postulated an endocrine role for these clusters in the control of blood glucose levels . Successful extractions of insulin and glucagon and the formal experimental proof that these key hormones regulate glucose levels firmly established the islets of Langerhans as key mini-organs in the diabetes field. 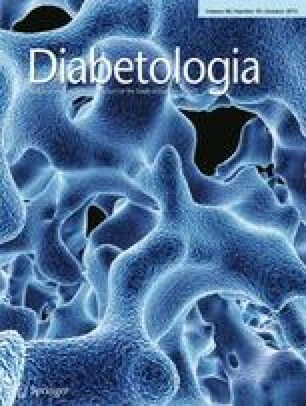 Research on the biology and pathophysiology of islet cells burgeoned as a result of the emergence of novel technologies and the application of various diabetes animal models as a surrogate for studies on human islets from healthy and diabetic individuals [4, 5, 6, 7, 8, 9, 10, 11, 12, 13, 14]. Preclinical research on rodent models offers several logistical, methodological and financial advantages. But this approach may fall short in terms of reflecting critical aspects of human islet pathophysiology [15, 16]. Because islets of non-human primate (NHP) or human origin are increasingly becoming available (albeit in limited numbers), there is an important and creeping increase in the number of studies on primate islets. Although still in their infancy, such studies have highlighted key structure–function differences between rodents and NHP or human islets, with evidence pointing towards a high degree of similarity between NHP and human islets [8, 14, 17, 18]. Moreover, mouse models may not reflect the complexity of human pathophysiology , such as islet amyloid deposition, underscoring the need for a better animal model (i.e. NHP) that truly mirrors human islet biology in health and disease . In this review we will summarise the results on islet architecture and structure–function relationships between rodents, NHPs and humans. In addition, we will briefly highlight the plasticity of islet cell architecture observed under diabetic conditions (reviewed in detail in ). As noted earlier, assumptions on human islet function and regulation based on rodent islets are not always true. Therefore, we would like to propose, based on data on interspecies islet cytoarchitecture and functional differences, a paradigm shift whereby investigations of the NHP islet can serve as a successful diabetes translational platform. Islet morphology has been extensively studied using histology, immunohistology and electron microscopy. In addition, different in vivo and in vitro model systems have been used to address islet cell function [22, 23]. Islets contain a variety of cell types, the most abundant being the insulin-producing beta cells, the glucagon-producing alpha cells and the somatostatin-producing delta cells  (Fig. 1). Furthermore, ghrelin-producing epsilon cells and pancreatic polypeptide (PP) cells have been described in the mammalian islet, albeit in smaller numbers [25, 26]. Besides hormone-producing cells, the islet also houses immune cells, autonomic nerve system endings (reviewed in detail in ) and is served by an abundant vascular network [8, 28, 29]. Together, the different cells are architecturally arranged to allow for a fine-tuned functional interrelationship between all islet cells, possibly orchestrated by autocrine, paracrine and endocrine signalling cascades, like a true mini-organ (Fig. 2). With its unique cell organisation, mammalian islets successfully accomplish their ultimate physiological role, to adapt to constant changes in metabolic demands and to maintain optimal circulating glucose levels throughout life. In the following section we will highlight the differences that separate rodent from primate islet physiology. Small animal research has been the cornerstone of islet research for over a century, pioneered by Langerhans himself in his description of the rabbit islet . Today, mouse and rat islets are widely studied, with consensus that these islets are mainly comprised of an insulin-producing beta cell core surrounded by a mantle of intermingled alpha and delta cells (Fig. 1). The islet vasculature is responsible for supplying the islet cells not only with oxygen, but also with key metabolic cues (i.e. glucose) and other nutrients, incretin hormones such as glucagon-like peptide-1 (GLP-1) and cytokines [29, 30]. This vast vascular network develops early in islet embryogenesis, providing essential developmental signals , and is driven primarily by the secretion of vascular endothelial growth factor-A (VEGF-A) from beta cells [32, 33]. The islet vascular bed consists of both large and small fenestrated capillaries [11, 29]. The islet blood flow arrives from peripheral vascular networks, where the blood flow moves from the beta cell-rich inner core to the outer alpha and delta cells [29, 34]. The islet blood flow pattern and speed has been suggested to be dependent on blood glucose levels, with hyperglycaemia leading to better islet perfusion with faster flow speeds compared with states of hypoglycaemia . Recent evidence suggests a degree of heterogeneity of vascularisation within islets in a single pancreas [35, 36]. Such differences result in distinct islet subpopulations with significant functional implications, with highly perfused islets displaying an increased beta cell proliferation rate and enhanced function . Whether such a phenotype is found in human islets remains unclear. Furthermore, islet vasculature has been suggested to play a crucial role in maintaining islet function in ageing . The location of beta cells within the core of the rodent islet also has important and direct functional consequences. The biological activity between the majority of rodent beta cells within any given islet, commonly measured by changes in intracellular free calcium concentration ([Ca2+]i), is highly synchronised, creating an integrated functional syncytium . This synchronisation is dependent on gap junctions made of Connexin-36 channels between different beta cells . Although human islets have been intensively studied over the last decade, their cellular arrangement is still a matter of debate, largely because of different experimental methodologies. Earlier morphological analysis of different regions of human and NHP pancreases showed that the different islet cell types are intermingled, with beta and alpha cells present in similar numbers with a higher degree of heterotypic islet cell contacts [14, 18]. Thus, human islets have been perceived to be characterised by an intermingled majority of beta cells, followed by alpha and delta cells [14, 18, 24] (Fig. 1). However, other groups have provided evidence of a non-random arrangement of human beta cells within an islet. They have observed that despite the higher percentages of alpha cells within the human islet, beta cells still prefer to remain in contact with one another, in a similar way to rodent beta cells [40, 41, 42]. With homotypic cell contacts predominant, paracrine influences within human islets may be limited. In a separate study in which three-dimensional reconstructions of islets were created from serial human pancreatic sections, the islets were reported to consist of a beta cell core with a surrounding mantle of alpha cells and vessels that do not penetrate the islet . However, in the same paper, the authors go on to suggest that, similar to rodents, human islet cells are purposely arranged in a complex trilaminar epithelial plate fold that favours heterologous contacts and paracrine signalling between islet cells . These varied concepts of human beta cell distribution need to be resolved to allow a thorough appreciation of the importance of paracrine interactions within an intact human islet. Regardless of heterotypic cell arrangements, human islet cell composition is set early in human life, stemming from a high proliferative phase (mainly beta cells) in the first 2 years of life followed by a life-long low-proliferative state [44, 45]. Strikingly, unlike rodents, not much is known about the human (intra)islet vasculature anatomy and flow rate [37, 46], with the exception of early reports that the perfusion of human and NHP islets is similar to that of rodent islets [47, 48]. We have shown that the vasculature of human islets becomes inflamed and fibrotic with ageing, which is also observed in islets from type 2 diabetic patients . In addition, a unique double basement membrane between islet cells and vascular cells has been observed in human islets , the function of which is as yet unknown. The functional consequences of the unique heterogeneous cellular arrangement of the human islet are even less clear. Some functional differences between rodent, NHP and human islets can be attributed to differences in islet cytoarchitecture . By monitoring changes in islet [Ca2+]i, the authors demonstrate that primate islet cells are activated by changes in low glucose concentrations (from 3 mmol/l to 1 mmol/l), whereas mouse islets are not . Moreover, prolonged exposure of whole mouse islets to 11 mmol/l glucose triggers a synchronised oscillatory [Ca2+]i behaviour, an effect that is absent in primate islets but has been seen in isolated primate beta cells. . However, such [Ca2+]i oscillatory behaviour seen in isolated primate beta cells needs to be verified in an in vivo setting. Rodent islet function relies on homotypic cellular communications between beta cells, configuring a functional syncytium with coordinated islet activity [39, 50]. On the other hand, the cytoarchitecture of the human islet, rich in heterotypic islet cell contacts, suggests that intra-islet paracrine signalling is perhaps less straightforward [14, 24, 43] (Fig. 2). Although reports indicate a rodent-like perfusion pattern of the human islet , lending weight to the concept of limited intra-islet paracrine signalling, the trilaminar-fold hypothesis coupled with regulated (and directed) blood flow by vascular sphincters within the human islet suggest that paracrine signalling may yet be important for islet function [8, 51]. Intra-islet communication between different islet cells can be established by the secretion of signalling molecules into islet microvasculature or within the islet’s interstitial space. Once these signalling molecules find their respective receptors on target cells they trigger complex autocrine or paracrine regulatory loops. In addition to hormones, islet cells secrete an array of signalling molecules, including acetylcholine [17, 52], glutamate , ATP [54, 55] and γ-aminobutyric acid (GABA) [56, 57, 58], all of which are important for islet cell function (Fig. 2). Acetylcholine, the first neurotransmitter to be discovered, is an important modulator of beta cell activity and insulin secretion in rodents  as well as in humans . Although acetylcholine has a similar function in the islets of both, the source of acetylcholine is different [17, 59]. In rodents, acetylcholine is delivered through autonomic nervous system varicosities distributed throughout the islet , whereas in humans islets it is secreted by alpha cells and influences the activity of neighbouring beta and delta cells [8, 17, 52, 60] (Fig. 2). Nonetheless, in both human and rodent islets acetylcholine secretion is triggered by periods of low circulating levels of glucose, and serves to sensitise beta cells to future rises in blood glucose concentration. The shift from neural to intra-islet acetylcholine delivery by alpha cells indicates that human islets are better able to respond quickly to dynamic shifts in blood glucose levels, bypassing neural networks. This may explain why type 1 diabetic patients can show a reduced dependency on exogenous insulin application as quickly as 20 days after islet transplantation , well before complete islet innervation is established. ATP is one of the most important signalling molecules in the body . Besides its well-established role in glucose-stimulated insulin secretion , ATP may also act as an extracellular signalling molecule within islets. Although ATP is found within insulin granules , its secretion seems to precede insulin exocytosis [64, 65]. To date, most of the data available on ATP function in islets is from rodent models. ATP is reported to act via P2Y receptors , either stimulating  or inhibiting  insulin secretion (Fig. 2). Recent studies in human and NHP islets show that ATP similarly may act as an autocrine signalling molecule, taking part in an important positive-feedback loop in active beta cells (Fig. 2). Although ATP is released at low glucose concentrations , glucose-stimulated ATP has been suggested to act via ionotropic purinergic P2X3 receptors in the membrane of active beta cells, resulting in P2X3-mediated Na+–Ca2+ influx and further depolarisation of beta cells and enhanced insulin secretion . However, another study produced contradictory data, with P2X isoforms observed to be less relevant than P2Y1 receptors in mediating the positive autocrine role of ATP in human islets . Based on these intriguing findings, further investigations on the role of intra-islet ATP signalling are warranted, especially given the unknown sources of secreted ATP (besides the beta cell) and the conservation of this autocrine mechanism among different islet cells. Since its discovery in the 1950s , GABA has been characterised as a key inhibitory neurotransmitter in the mammalian central nervous system (CNS), acting via ionotropic GABAA and metabotropic GABAB receptors . In neurons, binding to the various receptor types leads to target cell hyperpolarisation (i.e. electrical inhibition), either through the opening of chloride (Cl−) channels and Cl− influx (GABAA), or by the opening of K+ channels via second-messenger pathways (GABAB) . Again, in islets the majority of data on the function of GABA originates from rodent models. Studies have shown that GABA molecules are found in the cytoplasm of beta cells, both in insulin granules  and in small core vesicles . Acting via GABAA receptors, GABA mediates the glucose-dependent inhibition of glucagon secretion in alpha cells  and triggers beta cell prolife ration and survival in an autocrine loop [56, 74]. Human islet cells contain high levels of the GABA-synthesising enzyme glutamate decarboxylase 65 (GAD65, also known as GAD2) . Besides inducing beta cell proliferation , GABA seems to work both as an inhibitory and as an excitatory molecule. In the presence of physiological glucose concentrations, GABA depolarises beta cells and stimulates glucose-induced insulin secretion , whereas the role of GABA in glucagon secretion by alpha cells is controversial [57, 76]. In addition, high levels of GABA can depolarise delta cells, suggesting a role for GABA-mediated regulation of somatostatin release . As all three main islet endocrine cells contain GABA , an exciting challenge will be to determine whether GABA secretion from different islet cells is synchronised in vivo, especially given the apparent antagonistic actions of GABA on islet cell function. Glutamate is one of the key excitatory neurotransmitters in the CNS. Glutamate acts via ionotropic kainite-type α-amino-3-hydroxy-5-methyl-4-isoxazolepropionic acid (AMPA) or N-methyl-d-aspartate (NMDA) receptors . Similar to acetylcholine, GABA, ATP and glutamate, glutamate-synthesising enzymes and glutamate receptors are found in the three main endocrine cells in rodent islets [78, 79]. According to one school of thought, in NHPs and humans , intra-islet glutamate is provided by alpha cells, and glutamate is compartmentalised inside glucagon-containing granules and secreted together with glucagon  (Fig. 2). Once secreted, glutamate acts mainly in an autocrine fashion, driving a positive-feedback loop that depolarises the active alpha cell and upregulates glucagon release (Fig. 2). While this autocrine function is conserved in rodents and humans, glutamate action in rodents seems to be mediated by both AMPA and NMDA receptors , while in humans only AMPA receptors are involved . This scheme has been challenged by the authors of a recent study using mouse islets who propose a different model , in which glutamate is neither secreted together with glucagon nor does it modulate glucagon secretion. Rather, inhibition of glutamate secretion increases cellular pools of both glutamate and α-ketoglutarate, which are suggested to enhance somatostatin secretion release from delta cells via a new AMPA receptor variant . These results highlight the complexity of intra-islet signalling, and underline the need for similar studies to be conducted with human islets. Since the first description of insulin , its action and anti-diabetic potential have been studied for almost a century. Insulin is critical for proper control of blood glucose levels and acts in almost all tissues, such as brain, liver, muscle, adipose tissue and pancreatic islets. Insulin action is mediated by two different isoforms of the insulin receptor (namely IR-A and IR-B; Fig. 2). Spatial differences between IR-A and IR-B on cell membranes may explain their differences in intracellular signalling networks . Mice lacking IR expression specifically in beta cells (the βIRKO mouse model) develop a hyperinsulinaemic state and unlike wild-type mice do not show acute glucose-induced insulin secretion . Moreover, insulin released in response to glucose is important for forkhead box protein O1 (FOXO1) transcriptional activity and KATP channel opening in beta cells [85, 86]. In addition, deletion of IR in alpha cells (the αIRKO mouse model) leads to hyperglycaemia, glucose intolerance and hyperglucagonaemia, indicating that insulin acts also at the alpha cell level to suppress glucagon secretion . In humans, the results available on intra-islet insulin action are conflicting. Insulin has been described both as a positive and a negative regulator of islet cell function. Wu et al  reported that insulin acts via the phosphoinositide 3-kinase pathway, upregulates pancreatic and duodenal homeobox protein 1 (PDX-1) transcriptional activity and induces insulin gene expression. In contrast, Persaud et al noted a negative effect of insulin on beta cell insulin secretion . Similarly, human pancreases perfused with low glucose and anti-insulin antibodies have impaired glucagon secretion . Given the inconsistency of the experimental data, further studies are necessary to determine the effects of intra-islet insulin. Glucagon is the key hormone in mammals that maintains glucose availability during fasting periods. Acting primarily on the liver, glucagon stimulates hepatic glucose production and excursion . The systemic role of glucagon is clearly demonstrated in rodents, where deletion of the glucagon receptor leads to low blood glucose levels, hyperglucagonaemia and improved glucose tolerance . Glucagon signalling within the islet is not well understood, mainly due to a potential crosstalk with the pre-proglucagon–incretin pathway [30, 93]. Glucagon receptors are found in both rodent and human islets and in all three major islet cell types [94, 95]. There is consensus that glucagon causes intracellular cAMP levels to rise, which stimulates beta cell glucose-induced insulin secretion in both rodents and humans [92, 94, 96]. This insulinotropic effect of glucagon is also observed in isolated rodent islets, where deletion or inhibition of the glucagon receptor blocks insulin secretion and impairs glucose oxidation [94, 97]. In perfused human pancreas, antibody neutralisation of glucagon under both low and high glucose conditions increases insulin secretion , contradicting the above data from isolated human islets  (Fig. 2). Furthermore, glucagon also plays a positive autocrine role by binding to glucagon receptors on alpha cells to enhance its own expression . The peptide hormone somatostatin is secreted by nerve cells in different regions of the brain, by cells in the digestive system and by pancreatic islet delta cells  (Fig. 2). Somatostatin secreted by gastrointestinal cells is the main source of circulating somatostatin , whereas delta cell-derived somatostatin plays a key role in intra-islet cell signalling  (Fig. 2). In both rodents and humans, somatostatin inhibits alpha and beta cell activity, repressing glucagon and insulin secretion [90, 100]. The actions of somatostatin are mediated by five different isoforms of the somatostatin receptor (SSTR), found throughout the islet [101, 102]. Deletion of the gene encoding somatostatin in mice leads to a hyperinsulinaemic and hyperglucagonaemic state, but, surprisingly, without major whole body metabolic aberrations . Accordingly, somatostatin neutralisation in perfused human pancreas leads to higher glucagon and insulin secretion . Recent data indicate that human delta cells are influenced by alpha and beta cells, thus being an intricate part of a complex paracrine islet cell signalling network . Structural changes in pancreatic islets have been observed in both type 1 and type 2 diabetes (summarised in Table 1). Most of the studies show that besides the loss in beta cell mass in type 1 diabetes, both rodent and human/NHP islets display an increase in alpha and delta cell mass and alpha cell proliferation [6, 103, 104, 105]. Surprisingly, studies have suggested the presence of glucose-responsive beta cells in patients with long standing type 1 diabetes [106, 107]. In rodent models of type 2 diabetes, a large increase in islet volume/mass is commonly observed, largely as a result of increased beta cell proliferation and vascular density [108, 109, 110, 111, 112, 113]. This massive increase in beta cell mass is attributed to an intra-islet, rather than systemic, insulin resistance [84, 114]. In type 2 diabetic humans and NHP models, a more heterogeneous scenario is observed. Studies have described a loss in beta cell mass coupled to an increase in amyloid (IAPP) deposition and alpha cell proliferation (Table 1). We refer to a recent review article describing beta cell pathophysiology in type 2 diabetes , describing beta cell failure as a central mechanism in both type 1 and type 2 diabetes. Interestingly, in non-diabetic humans, insulin resistance has been reported to contribute to increased beta cell number and islet size . Recently, in a mouse model, beta cell dedifferentiation rather than accelerated death has been suggested as a key driver of beta cell failure [117, 118]. However, at this stage, no direct histopathological evidence has been found in human type 2 diabetes to support this observation besides the well-known imbalance observed in the peripheral blood between alpha and beta cell hormone levels . Nevertheless, to date we are limited to cross-sectional studies on highly selected patient cohorts (Table 1). In view of the fact that the data from the UKPDS indicated a constant loss of beta cell function over time , it is imperative to investigate, longitudinally, the natural history of human islet dysfunction from pathological onset to progressive mini-organ failure. Only this approach will allow the dissection the molecular mechanisms responsible for the morphological changes of pancreatic islets in the different metabolic phenotypes . In this review we have summarised key interspecies differences in the islet cytoarchitecture of rodents, NHPs and humans (Fig. 1). Such differences might explain disparities observed in the intra-islet networks regulating islet physiology and pathophysiology between mice and humans (Fig. 2). In view of the evidence provided, we believe that islet and diabetes research should consider differences in islet cytoarchitecture when conducting and interpreting results from one given species, especially rodents. Since human islet composition is heterogeneous and significantly different from that of rodents but similar to that of NHPs, the NHP may serve as a more appropriate animal model for studying human islet pathophysiology from a translational perspective. Besides understanding the main differences in microanatomy between the rodent and the human islet, it is essential to study islet physiology and pathophysiology in an in vivo setting. Only by using an in vivo platform can researchers truly appreciate an integrated view of islet biology. The islet micro-environment is highly dynamic, and cross-sectional studies are limited to snapshots of changes in islet cytoarchitecture and function (Fig. 1 and Table 1), ignoring the longitudinal dimension that takes into account the natural history of such changes. Moreover, isolated islets lack functionally important nerve fibres and blood vessels, and are thus not under the influence of crucial peripheral and central regulatory factors. Therefore, as long as the majority of islet research is conducted ex vivo, whether in isolated islets or pancreatic slices, our knowledge of islet pathophysiology will remain incomplete and lacking the translation from bench to bedside. Over the years islet researchers have developed various in vivo islet imaging techniques to provide a glimpse of islet morphology, function, innervation and vascularisation (reviewed in [22, 23]). The next step in the evolution of these techniques would involve in vivo islet imaging in the NHP, as these islets represent a close surrogate of human islet physiology. An increasing number of publications suggest that islets transplanted into the mouse anterior chamber of the eye (ACE) mirror those of the endogenous pancreas, both structurally and functionally [11, 37, 109, 120, 121]. Whether or not this holds true during diabetes pathogenesis (e.g. in states of glucolipotoxicity and of an immune attack) remains to be elucidated. It is noteworthy that studies on the autologous transplantation of NHP islets following partial pancreatectomy into the ACE are already under way. If successful, these studies may offer a quantum leap in understanding human-like islet plasticity, thus improving translational islet research. This work was supported by grants from the Singapore Ministry of Education, Academic Research Fund Tier 1(2014-T1-001-149 to Y.A.) and by Lee Kong Chian School of Medicine, Nanyang Technological University, Singapore (NTU) start-up grants (separately for Y.A., P.O.B. and B.O.B.). The Lee Kong Chian School of Medicine is a partnership between Nanyang Technological University, Singapore (NTU) and Imperial College London. Due to space constraints we have not been able to provide a comprehensive presentation of the theme and have thereby disregarded many important contributions to the field of our colleagues. POB is co-founder and CEO of Biocrine AB, a diabetes-related biotech company. All authors were responsible for drafting the article and revising it critically. All authors approved the version to be published.